Many things have changed since the 1940s, but some things will always remain the same. Hard work, passion for what you do and pride in your craft has been the same since the time Kevin's great-grandfather purchased the farm in the 40's. 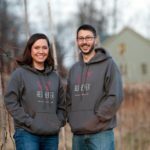 Now a new generation, Kevin and Yvonne Ford, take their turn at working the land and making a living off of its gifts. Red Heifer Winery represents 56 acres at the crest of the property. 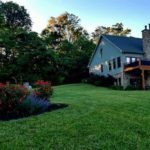 Formerly the Naylor Peach Orchard, the sloping hillside with a southeast orientation is the perfect location for growing grapes. 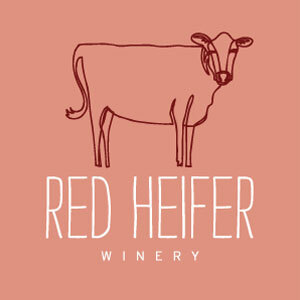 In addition, what makes Red Heifer Winery unique is the climate east of Smithsburg, Maryland. 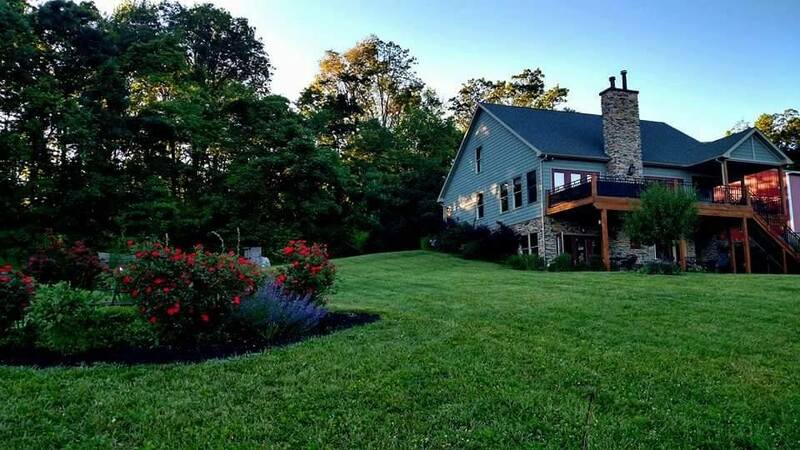 Situated at an elevation of 1,500 feet adjacent to the Catoctin Mountains, the grapes in our vineyard enjoy warm summer days with cool summer nights and a constant breeze. As you plan your trip to our vineyard, remember to pack a picnic basket and a blanket because from our property, you can take in an amazing view of the forested countryside. So make a day of it. Enjoy the view, the wine, and the company. Welcome to Red Heifer Winery. 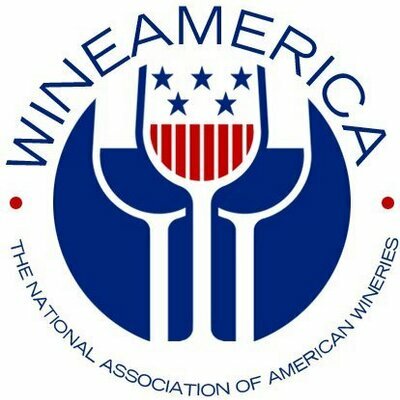 Standard Wine Tastings include a choice of 5 wines for $5. Keep the souvenir glass for an additional $3. Guests are permitted to bring snack items such as bread, crackers, fruits, and cheeses to enjoy at the winery. 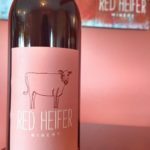 Our northern French-style cabernet franc is a sassy light-bodied variety with notes of black cherry. This classic example pairs equally well with herbed vegetables and dark or red meats. This crisp full-bodied wine hints at flavors of melon and citrus making it the perfect pairing for all seafoods. This versatile variety has pleasant floral aromas and a delicate sweetness. This vidal blanc pairs well with white meat and spicy dishes. This blueberry wine captures the color and flavor of the popular berry and pairs well with cheeses and fruits. This sweet flirty variety is perfect for sipping on warm summer evenings or late nights with friends. This fragrant mid-Atlantic native variety finishes with flavors of strawberries. 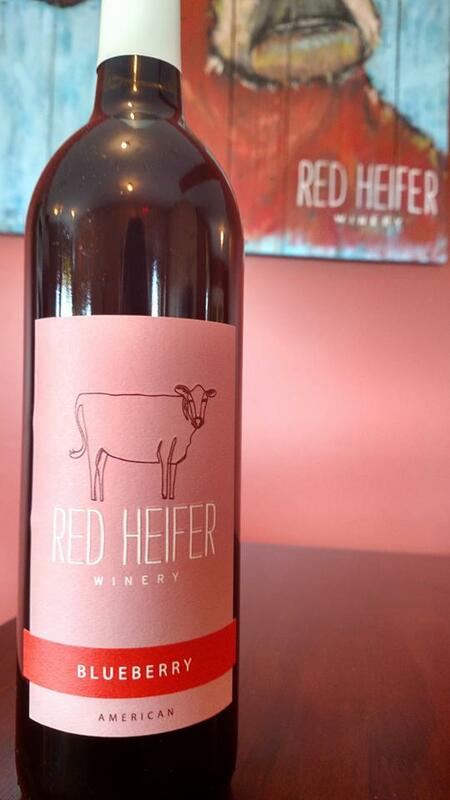 Delightfully sweet with a pleasant grape finish, our Sweet Heifer will remind you of the simple life at the farm. Named after Kevin's grandmother, this dedicated wine is clean and crisp with a light palate of grapefruit and pairs well with seafood and poultry. Deep cocoa notes on the nose with a juicy stone fruit finish. Tastefully sweet white wine and pairs easily with light meals and picnics. An off-dry blend of Vidal Blanc and Chambourcin with tropical notes. 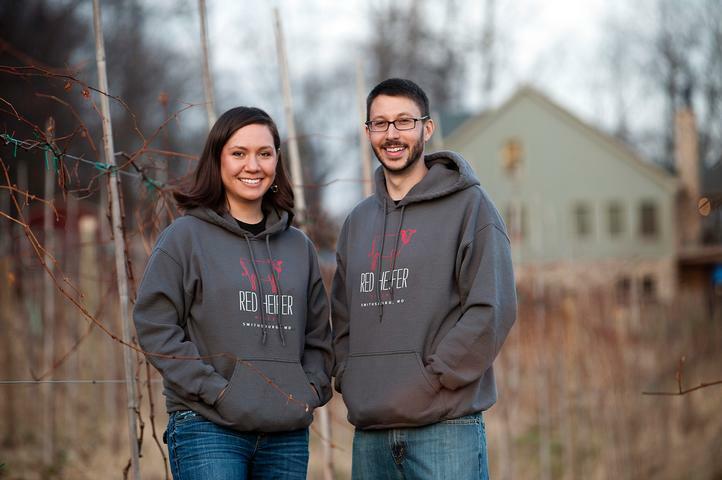 Staff photo by Travis S. Pratt Yvonne and Kevin Ford stand in their recently planted vineyard at Red Heifer Winery in Smithsburg.